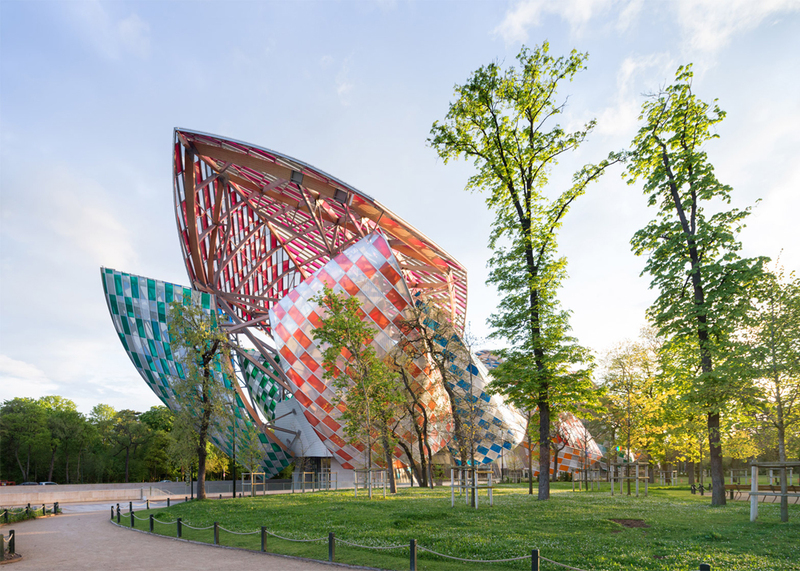 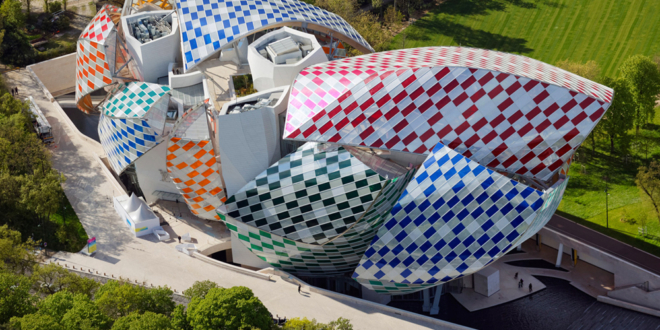 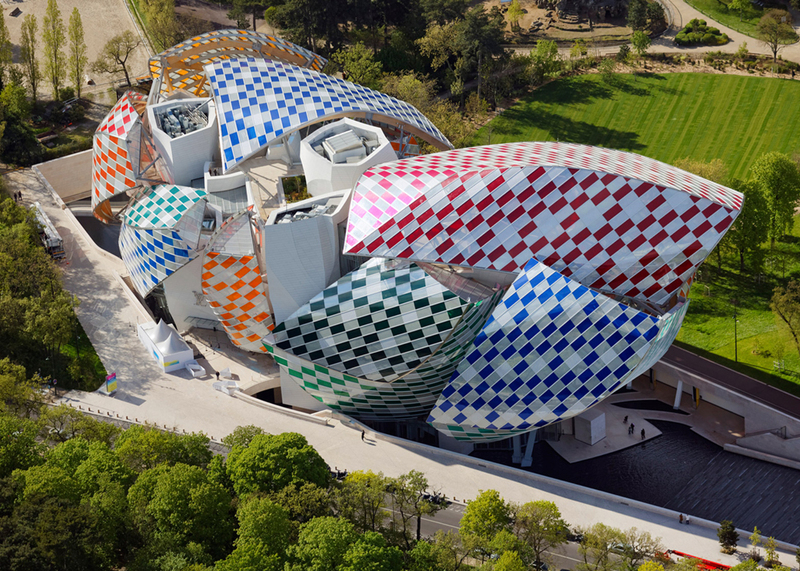 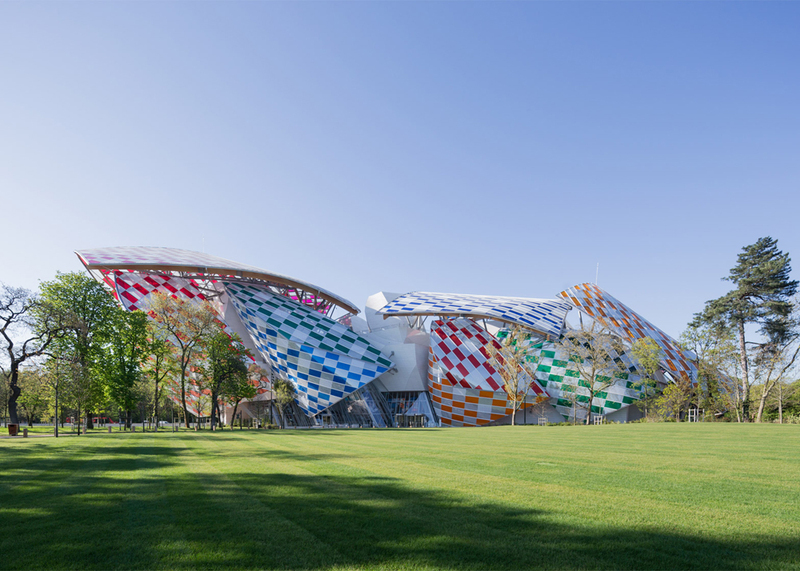 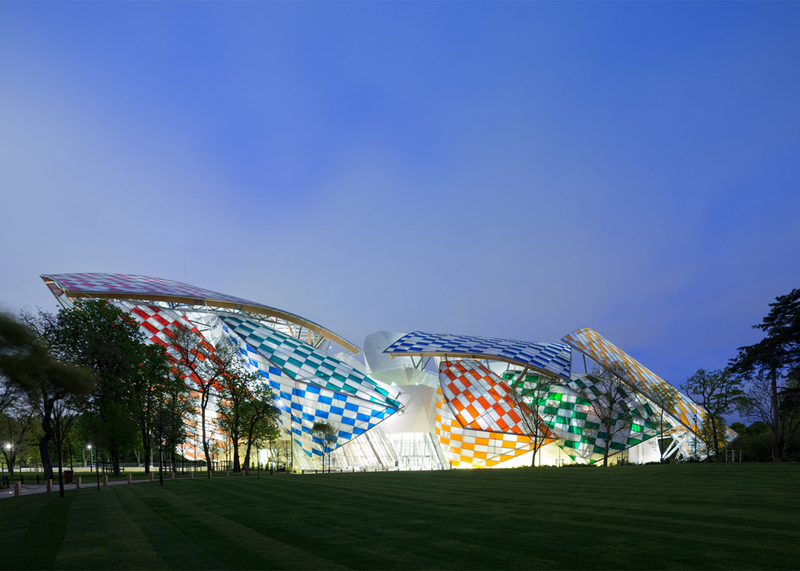 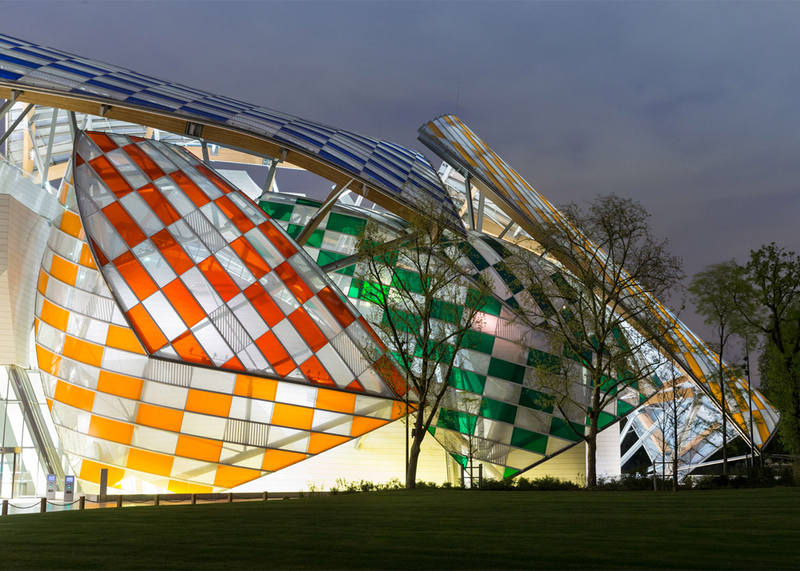 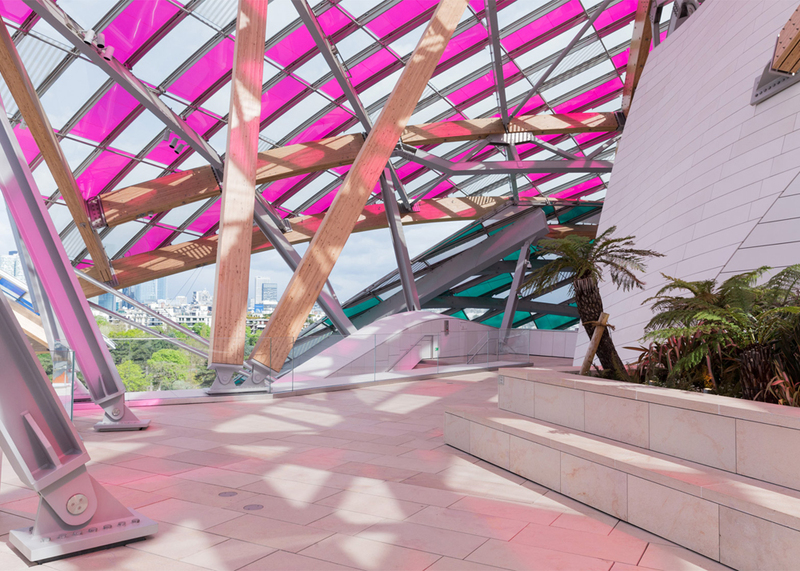 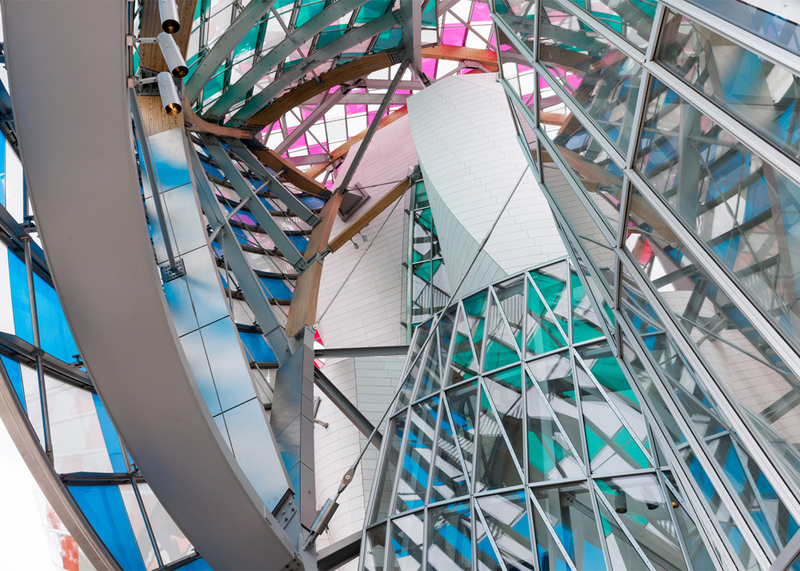 Daniel Buren a french artist, work on Frank Gehry’s Fondation Louis Vuitton building – arts centre in Paris’ Jardin d’Acclimatation.. 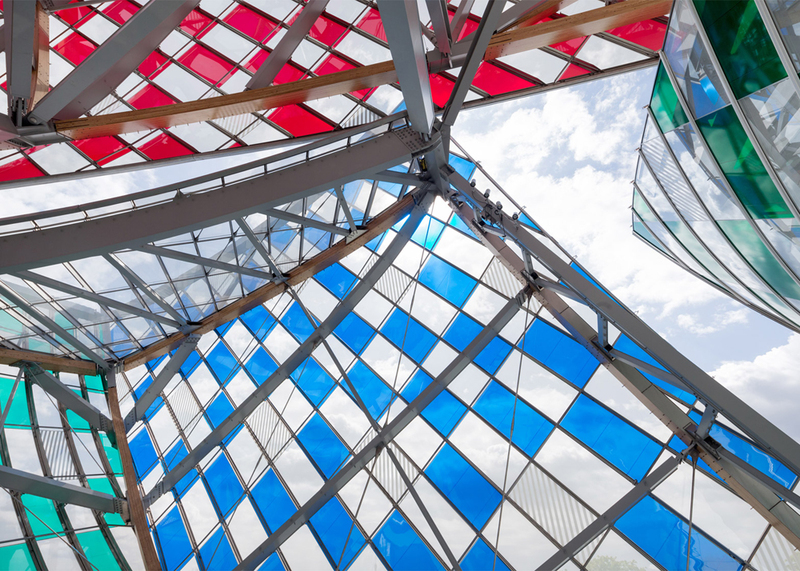 The installation named “The Observatory of Light,” is installed across the building’s 12 glass “sails,” formed of 3,600 pieces of glass, which Buren has covered with colored filters in 13 different hues punctuated by alternating white and blank stripes. 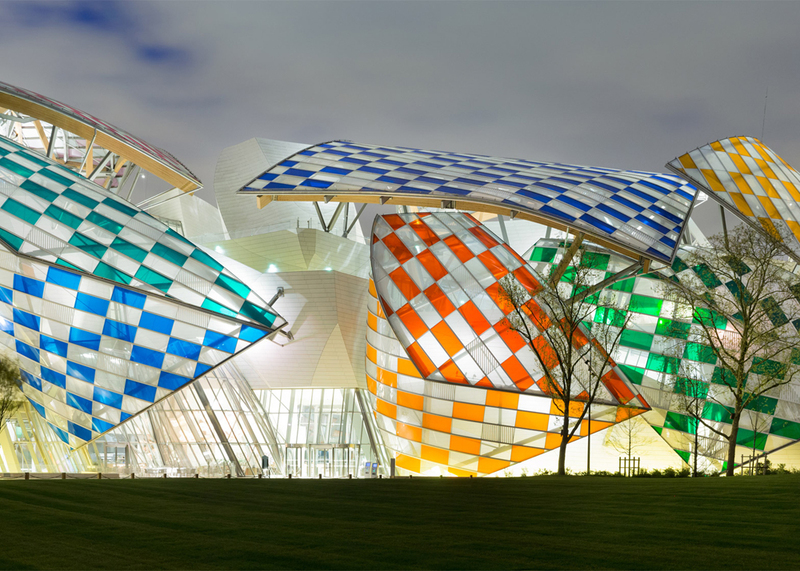 The Fondation Louis Vuitton was completed in 2014, and was designed by the architect Frank Gehry. 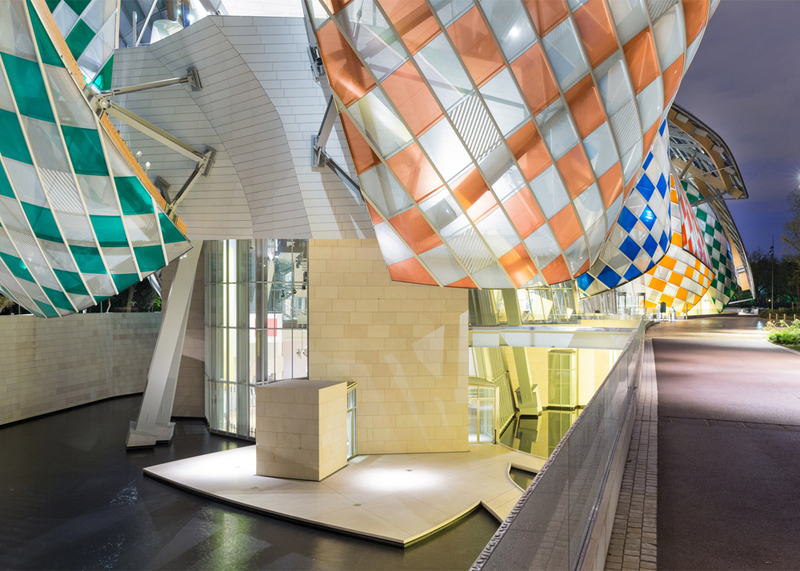 It is made up of 11 exhibition galleries that each accommodate a permanent collection of contemporary art. 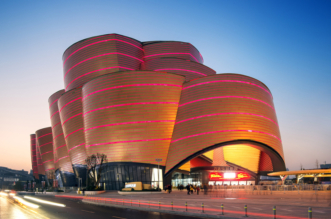 Also it has auditorium with 350 seat, meeting and events spaces, and education facilities. 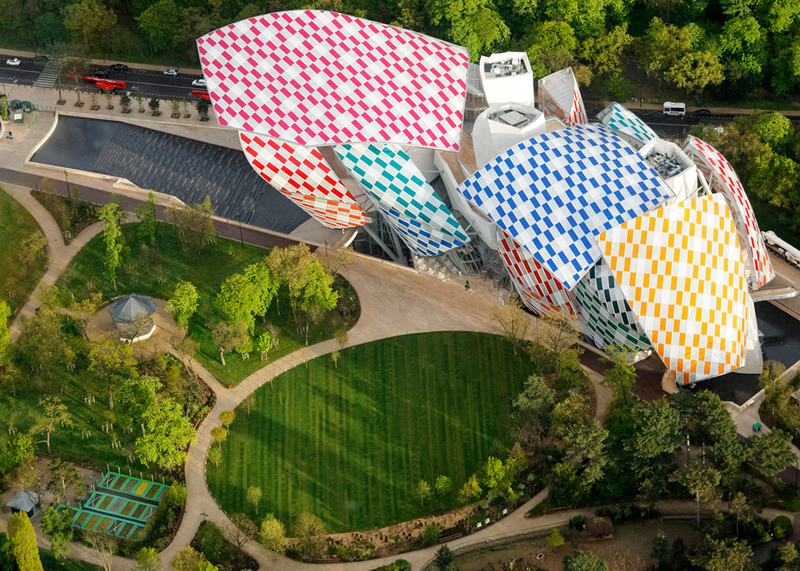 The colourful pieces in “The Observatory of Light” have been arranged like formation in a chequerboard. 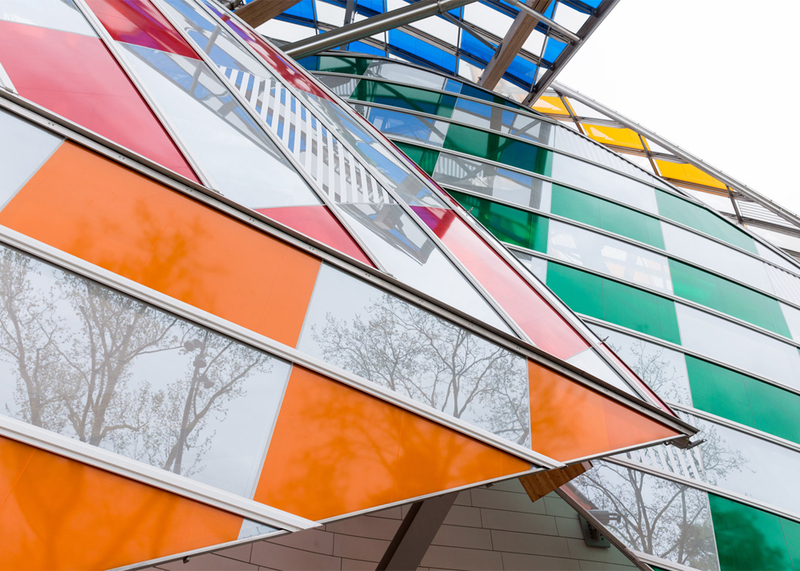 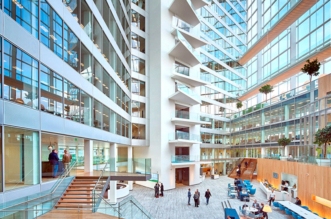 It have been applied to both the inside and outside of the building’s glass facades and creating a kaleidoscopic effect that changes depending on the time of day and the season. 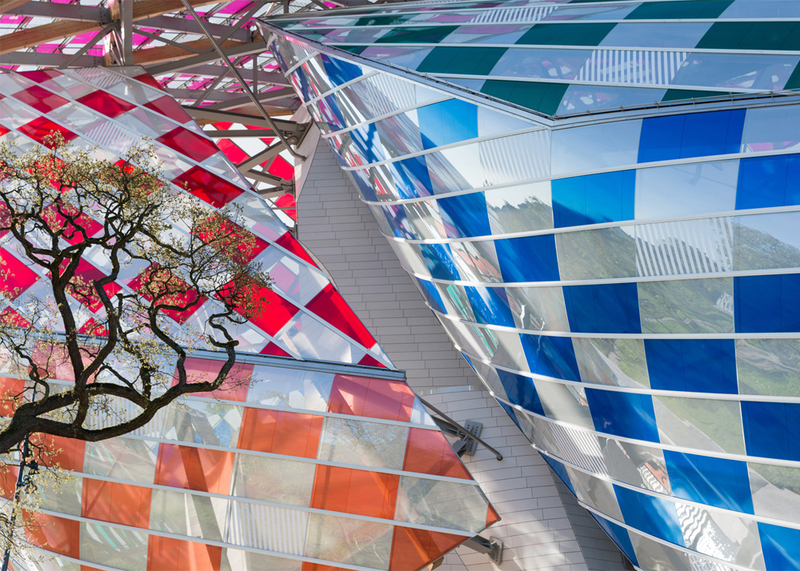 Daniel Buren has become well known for applying stripes in varying colors, sizes and materials to assorted objects and environments. 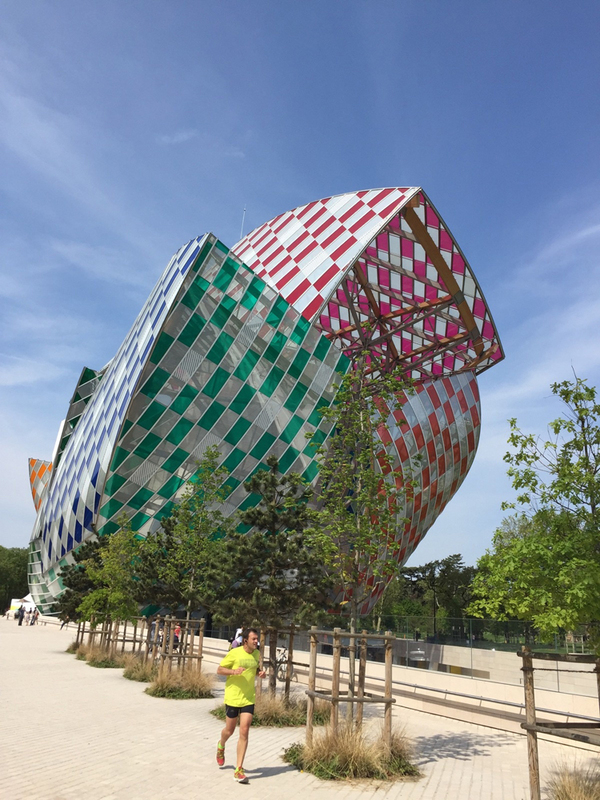 Red, orange, yellow, blue and green radiate and mix on the white walls of the structure especially when there is some sunshine.